Black Friday: Tips to make the most from the special day! Is your black friday going to be a success? 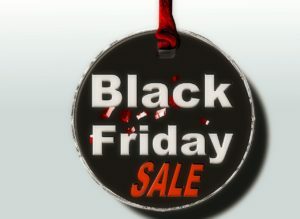 Any business these days can take advantage of Black Friday – the traditional time when sellers offer customers discounts in the hopes of having a good day of sales. This year, Black Friday is going to be on 25th November, and if you haven't started planning for it yet, that gives you very little time to prepare. The truth is, if you haven’t already prepared for the special day, then you’re behind your competition. So here are some tips to help you catch-up and make a success of your Black Friday deals. Most sales happen individually and not on a mass scale. However, Black Friday has lots of different sellers vying for the attention of the audience. This creates direct and in-direct competition which you must be prepared for. The only true way to prepare for this is if you market your event before it takes place. This enables your audience to retain your information and recall it when the appropriate time comes. It also gives you an opportunity to engage the audience and determine what offers they are particularly interested in. This will be really useful on the day as you can send very specific offer information based on prospect’s behaviours. Your potential customers aren’t just going to be sat on their emails. Twitter, Facebook and other social media platforms, as well as Google, will also be in use by your customers. These all need different content, but their campaigns should be linked. Therefore, don’t forget about your other marketing avenues. You might even want to take your marketing offline and use publications and leaflet drops to spread the news about your Black Friday deals. If you offer numerous products, then you could have a lot of offers on. The problem is that your customers will only be interested in a select few of these, so you should determine their interests and segment your marketing lists based on these preferences. This can only be done with long-term consumer behaviour analysis and the use of advanced tracking software. However, the time and effort you put into this endeavour can be worth the outcome. If you don’t have any affiliates working for you – you need to start recruiting some. Affiliate marketing is a natural and cost-effective way to expand your network. They can also be highly useful in drawing the attention of your offers to more prospects in the shortest possible time. Google Ad Campaigns are an effective way for you to attract audiences to your website. Many consumers will be using Google or other search engines to look for Black Friday deals. The trouble is that you’ll have to probably pay a premium for the key terms on that day. Therefore, be creative in your keyword use. Also, you should tell affiliates about your keyword choice, so they don’t try to compete with you and drive the bid price up. In theory, with good communication between you and your affiliates, you could corner the Google Ad network and reach a greater audience without higher costs. We’re always talking about the length of the sales paths. On Black Friday, you don’t have the luxury of time. Therefore, you need to artificially speed up the process by creating numerous touch points for your prospects throughout the day. This could include social media updates, website notifications and email marketing campaigns. You might need to send a couple of campaigns out during the day. Are you ready for Black Friday? Do you have your campaigns set up and ready to go? If not, then it is best you take some time out and start to work on them so that when it comes to the special day you’ve got it all ready to go and you can get the most from your deals. Got any questions; ask them in the comments below.